In part three of a four-part series looking at the career of the iconic Gianluca Vialli, Dan Davison recalls his glory-filled Juventus years, which created a legacy like few others in the golden Football Italia era. Cristiano Ronaldo, Diego Maradona, Johan Cruyff, Zinedine Zidane, Neymar, Ronaldo, Gareth Bale. These are just some of the footballers who have moved clubs for a world-record transfer fee over the years. And, regardless of what they might tell you, the fee undoubtedly comes with a huge pressure to deliver. Gianluca Vialli, formerly of Cremonese, became part of this elite group when he moved between Sampdoria and Juventus for £12 million in 1992. 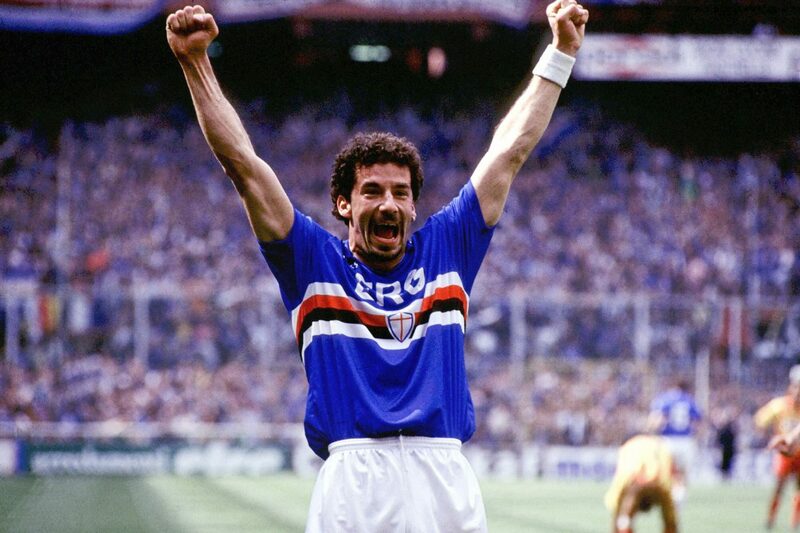 Sampdoria had been an amazing time in Vialli’s career. But although he had enjoyed some great success with Il Doria and played with some fantastic players under a great manager, Juventus were another level. Vialli would be playing in a star-studded attack that would strike fear into any opponent, alongside the legendary Roberto Baggio and the extremely talented young prospect Paolo Di Canio. Germany internationals Jürgen Kohler and Andreas Möller were also in the ranks and, once again, Vialli had moved to a team with an England international – David Platt. With a transfer fee as substantial as the one he had moved for, it was important for Vialli that he hit the ground running with his new club. 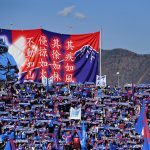 Starting the season with a goalless draw at Cagliari, Vialli then scored the last of four goals in a comfortable win over Atalanta. A couple of draws followed, and Vialli scored the winner against a declining Napoli side now without Diego Maradona. The truth is, though, Vialli was not impressing the Juve crowd to the extent that he had been impressing the Samp supporters. He needed to do more. Juventus, with just one win in their opening seven games of the season, likewise. Baggio had finished the previous two seasons as the club’s top scorer. With the arrival of the big-money signings, Baggio was deployed slight deeper as a trequartista to accommodate them. He remained the most prolific, though, scoring four goals in a win over Udinese still early in the season. Vialli scored in the following game’s late comeback against Torino in the Turin derby, but he was not having the same impact on the team as Baggio. Baggio scored twice against Parma and twice against Pescara. He was struggling to find the net at all. Juventus finished fourth in Serie A that season, a sin in the eyes of the club’s supporters and the board. Their saving grace, however, was the UEFA Cup. Having overcome some much smaller clubs in the early rounds – Vialli scored a brace against Anorthosis Famagusta of Cyprus and Sigma Olomouc of the Czech Republic – Juve had kept their run going all the way to the final having dispatched Benfica in the quarter-finals and Paris Saint-Germain in the semis. For Vialli, it was a European final for the second consecutive season. Awaiting in the final were German giants Borussia Dortmund. What followed was a Juventus masterclass, from the Baggio boys in particular. A 3-1 victory in the away leg meant that Juve had one hand on the trophy – two goals coming from Roberto and the other from Dino Baggio. In the second leg, it was Dino’s turn to score a brace, with the Italian side running out 3-0 winners – 6-1 on aggregate. It was a comprehensive victory, especially for a European final, but Vialli had not scored any of the six goals. Although not disastrous, given the world record fee, it had been a disappointing debut season for Vialli in the black and white. stripes. The 1993/94 season saw a large improvement for many in the Juve squad, but not Vialli. Under manager Giovanni Trapattoni, something was refusing to click. There just wasn’t that connection that Vialli had with Vujadin Boškov at Sampdoria, he didn’t look ready to die for the ex-Inter manager on the pitch. The 1993/94 season also saw the emergence at Juventus of a striker who would go on to be perhaps the club’s greatest legend of all – Alessandro Del Piero. Del Piero scored in the 4-0 thrashing of Reggiana, alongside Roberto Baggio who was continuing to score prolifically. So many talented strikers meant that Vialli was having to play deeper than he had been used to in his career, and the goals were drying up. Baggio scored on an almost weekly basis throughout the season, while Vialli was not scoring at all. Juventus were battling Milan and Vialli’s old team Sampdoria at the top of the table, and a hat-trick from Del Piero against Parma during the run-in laid down the gauntlet to Vialli. Perform or leave. At the most critical point of the season, Vialli responded. Having not scored a single goal in the league all season, Vialli scored a hat-trick in a 6-1 thrashing of Lazio with two games remaining. Just when the pressure was at it’s most intense, he had proved his worth to the team. And in the final game of the season, against Udinese, it was Vialli who scored the only goal of the game. His efforts were in vain, however, as Juventus lost out on the title to Trapattoni’s old club, Milan. And that was the end of Trapattoni at Juve, with the ex-Italy international leaving at the end of the summer to manage abroad for the first time with Bayern Munich. Trapattoni leaving was of huge personal significance for Vialli. 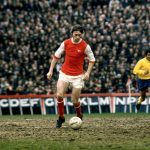 Although there is little evidence of a genuine rift between the two, there’s no doubt that Trap failed to get the best out of his world record signing in the manner that Boškov had at Sampdoria. Trapattoni was replaced by Marcello Lippi, who had spent almost his entire playing career at Sampdoria. Perhaps this is what helped make an instant connection with Vialli, because something seemed to click straight away. Lippi made it clear to Vialli that he was an integral part of his plans at Juventus, but that he was unimpressed with his fitness levels. Vialli embarked on a difficult fitness regime to make himself stronger and faster. It may have been the most difficult pre-season of his career, but the results were well worth it. Vialli scored the opener in Lippi’s first game in charge at the Stadio delle Alpi, a 2-0 win over Bari, and then did the same in a 2-1 win at his old club Cremonese. A brace against Reggiana followed, and Vialli had already matched his Serie A goals tally of the previous season. Under Lippi, Juve were flying. Another brace in the next home game against Fiorentina helped mount a brilliant second half comeback – Vialli was unrecognisable from the player mistrusted by Trapattoni. Juventus looked untouchable in the first half-season under Lippi but perhaps one of the season’s defining moments was when, after consecutive defeats to Cagliari and Torino, he stepped up in the 89th minute against Brescia to score a winning penalty. It was another late, winning goal, and the following month that meant that it was now hard for Juventus to not win the title. Playing in a tightly-fought encounter at his old stomping ground, the Stadio Luigi Ferraris in Genoa, it took 80 minutes for anybody to find the breakthrough. But when somebody did, of course it was Vialli. Juventus were streaks ahead and, despite taking their foot off the gas towards the end of the season, coasted their way to their first title in nine years. Goals from Vialli in the run-in against the likes of Milan and Fiorentina helped secure it. Juventus finished 10 points clear of second-placed Lazio, but the truth is that the gap could have been far bigger. Lippi had proven himself to be one of the best managers in the world. Vialli, Juve’s top scorer, was reinvented. The Bianconeri also made it all the way to the final of the UEFA Cup again, only to be beaten this time by fellow Serie A outfit Parma. A goal from Vialli to level the tie in the second leg proved futile; perhaps Juventus were guilty of thinking they were invincible. For Parma, it was perhaps the greatest achievement in their history. Fast forward a year and Juventus, remarkably, failed to retain their title. Few were predicting anyone other than the team from Turin to be victorious at the start of the season, but they finished second – a whole eight points behind Milan. But Juve fans cared little. After a run in the Champions League that saw them knock out the mighty Real Madrid in the quarter-finals and Nantes in the semis, Juventus found themselves in the final against Ajax. For Vialli, who scored in both legs of the semis against Nantes, it was a chance to heal the pain felt in losing a European. Cup final with Sampdoria a few years previously. Leading the team out onto the Stadio Olimpico pitch in Rome, there were few signs of nerves on the face of Vialli. Fabrizio Ravanelli put Juve ahead early on, but Jari Litmanen equalised for Ajax before half-time. The game went to extra-time then to penalties. Bizarrely, Vialli didn’t take one but with future Juve player Edgar Davids and Sonny Silooy missing for Ajax, it didn’t matter. Finally, Vialli was a European champion. That proved to be the final chapter for Vialli at Juventus and in Italian football. The Premier League in England was fast catching up with Serie A as the greatest league in the world. Ravanelli, Juve’s goalscorer from the final, was sold to Middlesborough, and, after much speculation, Vialli was sold to Chelsea. A new chapter awaited.